At first I thought Mik just agreed to do the Frozen Sing-Along fastpass+ because it was what the rest of the group was doing and it was one of the few things he could actually do. Turns out that he was actually interested in checking it out even though he wasn't sure he'd like it. We ended up entering the fastpass+ queue before the rest of our group because Mik wanted to avoid the noise of the March of the Order going on. We figured our group was big enough to be split up inside anyways, but they ended up catching up and being allowed over to the area we were waiting for the upper accessible seating. 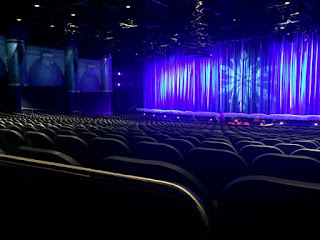 It seems it's similar to Fantasmic in that they keep the row in front of the top row clear for the whole group to be "together," although we all were able to sit in the top row with Mik since there was room. 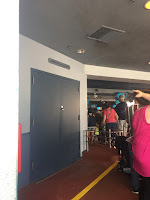 We had the option to go up front, but from recent experience with only having front row for Country Bear Jamboree and past experience of choosing front for the Mickey's Magical Map show led Mik to choose the back. At the end when it snowed, Mik was particularly happy that he choose the back as it only happens in the front two-thirds or so of the theater. Overall we all enjoyed the show more than expected mostly because of the humor. I thought it was too much story and not enough singing considering the show's name, but at least it is a different way of experiencing the story with the historian narrator characters. 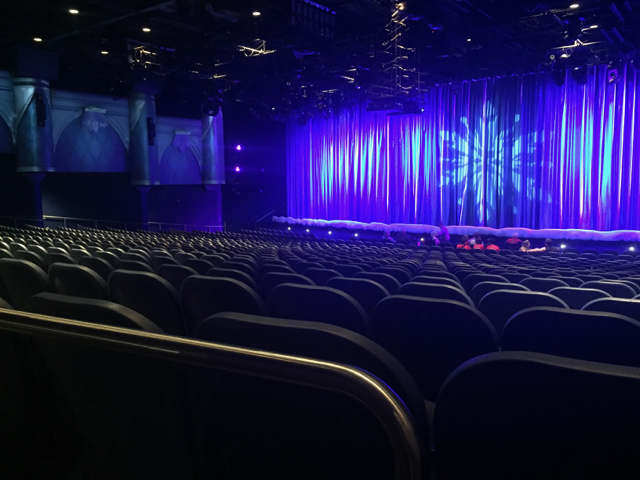 The only thing we found disappointing was that there are screens in the area you wait for the doors to open, but not by where they have the upper wheelchair section and we felt like we missed the preshow experience, which could easily be fixed with just installing one TV. 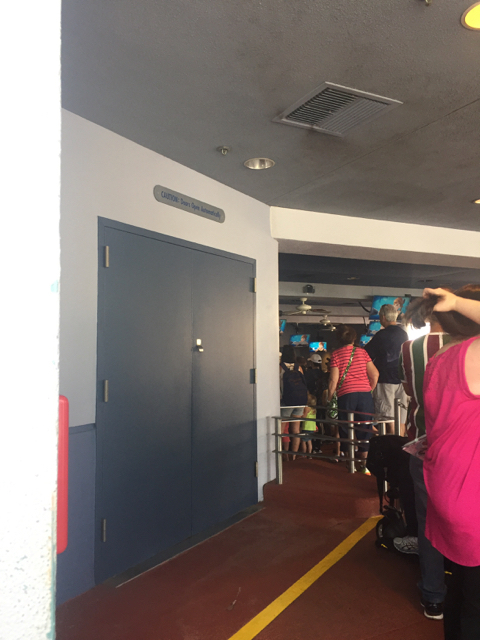 I mean, after all we think the best part of Soarin' is the preshow now that they changed the attraction to be around the world.